Should partisan gerrymandering be eliminated? The Supreme Court has long rejected legislative districts drawn to give one racial or ethnic group an advantage in state and federal elections. But the court has never set standards for deciding when districts drawn explicitly for partisan political purposes are unconstitutional. That could soon change as the court prepares to hear a potentially landmark Wisconsin redistricting case this fall. At stake is the balance of power in state legislatures and the right to draw the next set of congressional boundaries, based on the 2020 census. 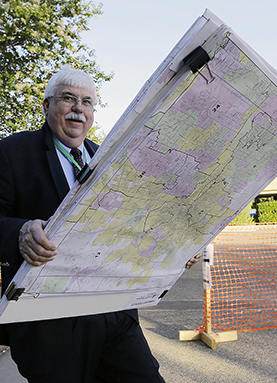 Redistricting abuses — known pejoratively as gerrymandering — have sparked outrage for disenfranchising voters and unfairly helping political parties maintain power. Some districts redrawn into contorted shapes — such as Pennsylvania's “Upside-Down Chinese Dragon” and Illinois' “Rabbit on a Skateboard” — have provoked particular scorn. Experts say Democrats had the upper hand in gerrymandering for years but that Republicans have had the edge since 2010. Meanwhile, the Census Bureau is struggling with funding, untested technology and political pressure as it prepares for the 2020 count.